The former defense attorney of Claude Wilkerson, 61, and a former Houston police officer who investigated his capital murder case, went into detail on Thursday about how he was able to get his death row case dismissed. 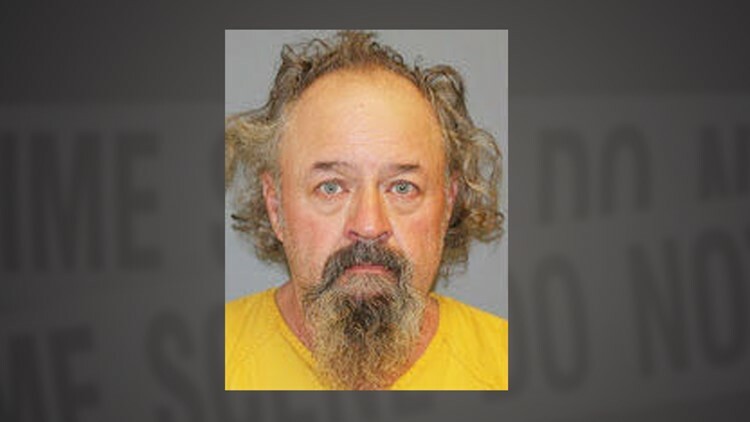 Wilkerson faces charges related to the kidnapping and sexual assault of a homeless woman, who police say was held captive in Wilkerson's Gateway home for months. Earl Musick, the former HPD officer, described the murder case -- in which three people were killed in January 1977 during a botched robbery at a jewelry store, where Wilkerson once worked. Musick said Wilkerson had planned the robbery. "They held them hostage, taped them up, put duct tape over their eyes with tissue so they couldn't see. They took them form the jewelry store ... and they took about $200,000 worth of jewelry," Musick said. "What was planned was the robbery of the jewelry store. Claude was not going to be -- he was on the outside, kind of planning it." Musick said three others were doing the robbery. "Once they got them taped and everything, then Claude came in. Don Fantich recognized Claude's voice," he said. "Fantich said, 'Claude, I know that's you.' And because he had recognized the voice, they all get together and decide that they have to dispose of them." Musick said he had gotten to know Wilkerson over the years. When Wilkerson saw Musick at the police station, he told the police captain he would be willing to describe the robbery to Musick. "I know Earl Musick. Ask Earl to come in here and I'll tell him what happened," Musick recalled Wilkerson saying. "So, Claude basically got me to come in and from there we did a confession and all of that." But Musick said Wilkerson only confessed to a part of the crime. "He confessed to being part of the abduction, but claimed not to know that they were murdered," Musick said. That confession was enough to help prosecutors convict Wilkerson of murder in 1978. He was sentenced to death and spent four years on death row before his case was dismissed because of the way the confession was given. Wilkerson had invoked his right to an attorney during the interrogation, prior to the confession, but Musick said he unknowingly continued to interrogate him after a period of time after not hearing from the lawyer. That violated a Supreme Court decision, said Stanley Schneider, Wilkerson's attorney at the time. "They reinitiated interrogation after he asked for lawyer," Schneider said. "Once you stop that interrogation, you can't go back and reinitiate." A federal court agreed and ruled that the confession was inadmissable, as was "the existence of accomplices, the bodies of the victims, the murder weapons and the stolen jewelry," according to an Associated Press report from 1987. The prosecutor told the AP there was no longer suffiicient evidence to prove Wilkerson's guilt and the charges were subsequently dropped. The article says Wilkerson was freed on bond in 1983 and had moved to Colorado four years later. Schnieder said Wilkerson looked very different in his latest mug shot compared to when he defended him in the 1980s. "He looked bizarre, his picture. The long hair, the scraggly beard, he looked different," Schneider said. "When I met him, he was ... very neat, hair was short." He said he once received a painting from Wilkerson, and it broke the same week Wilkerson was arrested for his latest charges. "Just a painting of a western scene and wood flame," he said. "It fell off window sill last week and broke." Schneider added that Wilkerson was part-Cherokee, and once gave him a totem that he promised would give him power over the court, during his appeal. "Who am I to argue with his faith? I brought it to arguments and put it down on the table and argued." He said he may even hear from Wilkerson again, as well as his new attorney. "I wouldn't be surprised if soon I get a collect phone call from the jail," Schneider said. Wilkerson is being held on $1,000,000 bond.